The Intel Core i5-8400 is a mid-range 6-core CPU. The processor belongs to the Coffee Lake generation and was presented in September 2017. It does not support Hyper-Threading, which means it can run six threads simultaneously. The base clock rate is 2.8 GHz and the CPU can speed up to 4.0 GHz under high load. 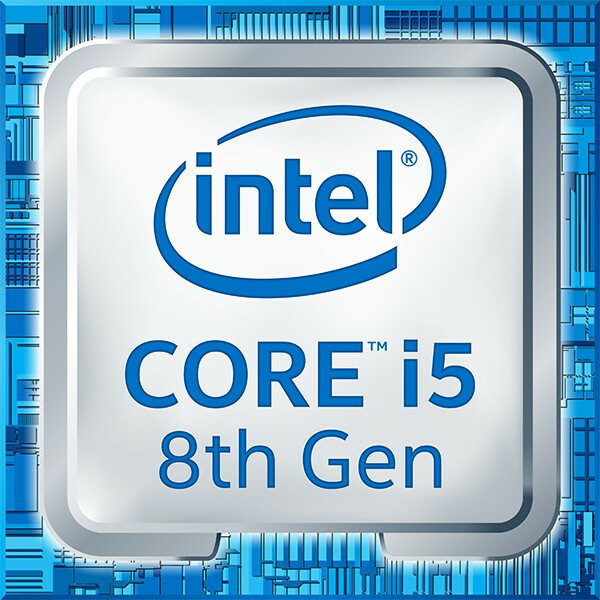 Despite belonging to the new generation of CPUs, the Core i5-8400 is manufactured in an improved 14nm process. The processor offers a strong performance increase compared to the Core i5-7400 due to its two additional cores. Single-core performance has not improved significantly compared to its Kaby Lake predecessor. As a mid-range model, the Core i5-8400 should be suitable for demanding games and programs. Intel specifies the TDP with 65 watts. Therefore, well-dimensioned cooling systems should easily manage to deal with the created heat. We expect increased efficiency due to the higher performance. The Intel Core i5-8500T is a desktop processor of the Coffee Lake generation. It offers 6 cores clocked at 2.1 - 3.5 GHz and is manufactured in the again improved 14nm process (14nm++). As a "T" model, te i5-8500T is rated with a low 35 Watt TDP and therefore sometimes even used in laptops. Thanks to the additional 2 cores, the Coffee Lake 6-core CPUs can offer a performance uplift of up to 50% in multithreaded workloads compared to the Kaby Lake predecessors.